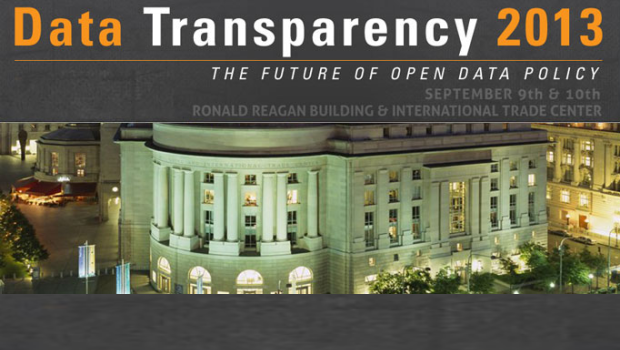 The Center for Data Innovation will be a special policy partner in the upcoming conference “Data Transparency 2013” to be held on September 10, 2013 at the Ronald Reagan Building and International Trade Center in Washington, DC. Participants in the conference will have the opportunity to hear executive and legislative branch leaders discuss ongoing work to open up federal data sets in key domains, including spending, regulation, and management and hear from technology innovators who will be showcasing new search, publication, and analysis tools that would streamline federal processes and illuminate fraud, waste, and abuse. The conference will include appearances by DATA Act sponsors Rep. Darrell Issa (R-CA) and Sen. Mark Warner (D-VA), as well as former Recovery Accountability and Transparency Board Chairman Earl Devaney and former U.S. deputy chief technology officer Beth Noveck. A full list of speakers is available on the conference website. Public and private sector stakeholders who want to help set the open data agenda and identify opportunities to open the federal government’s data portfolio are encouraged to attend.